Panoro Energy ASA has a 6.502% interest in OML 113 which is operated by Yinka Folawiyo Petroleum (YFP) and is located in the extreme western part of offshore Nigeria adjacent to the Benin border. The licence contains the Aje field as well as a number of exploration prospects. The Aje Field was discovered in 1997 in water depths ranging from 100-1,500m. Unlike the majority of Nigerian Fields which are productive from Tertiary age sandstones, Aje has multiple oil, gas and gas condensate reservoirs in the Turonian, Cenomanian and Albian age sandstones. Five wells have been drilled to date on the Aje Field. Aje-1 and Aje-2 tested oil and gas condensate at high rates from the Turonian and Cenomanian reservoirs and Aje-4 confirmed the productivity of these reservoirs and discovered an additional deeper Albian age reservoir. Aje-5 was drilled in 2015 as a development well for the Cenomanian oil reservoir. The OML 113 license has full 3D seismic coverage from surveys acquired in 1997 and 2014. 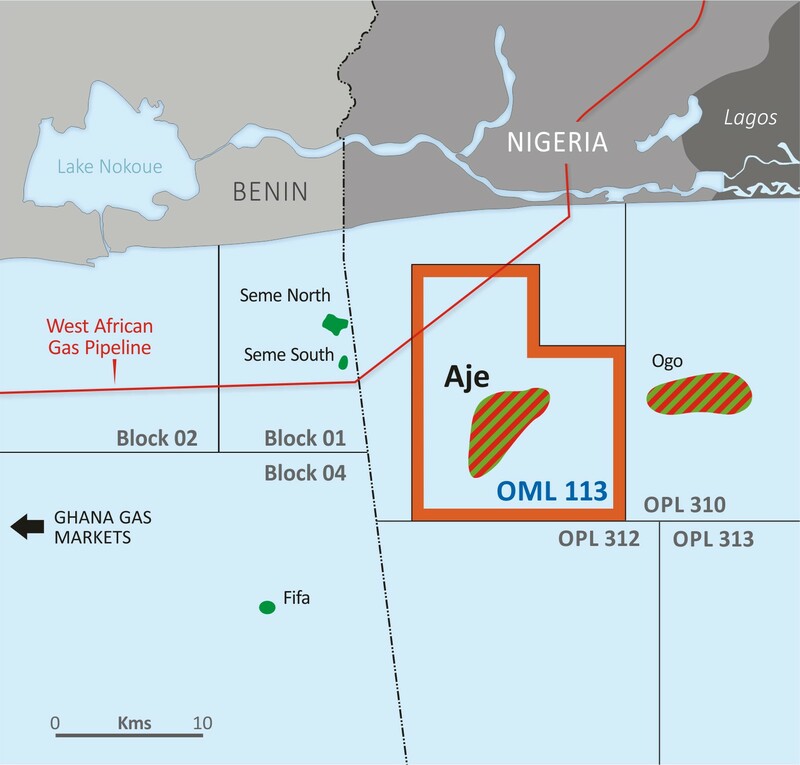 The Aje field started production in April 2016 from two wells in the Cenomanian reservoir, Aje-4 and Aje-5, with oil processed and exported from a leased FPSO, the Front Puffin. The field has continued to produce from these wells to date, with Aje-4 currently producing from the Cenomanian reservoir and Aje-5 producing from a re-completion in the oil rim of the Turonian reservoir. On a net basis the Aje field produced around 350 bopd during 2018. A Field Development Plan for Aje gas was submitted to the Nigerian government for consideration in 2017. The gas FDP comprises four or five production wells in the Turonain tied back to existing and new infrastructure.